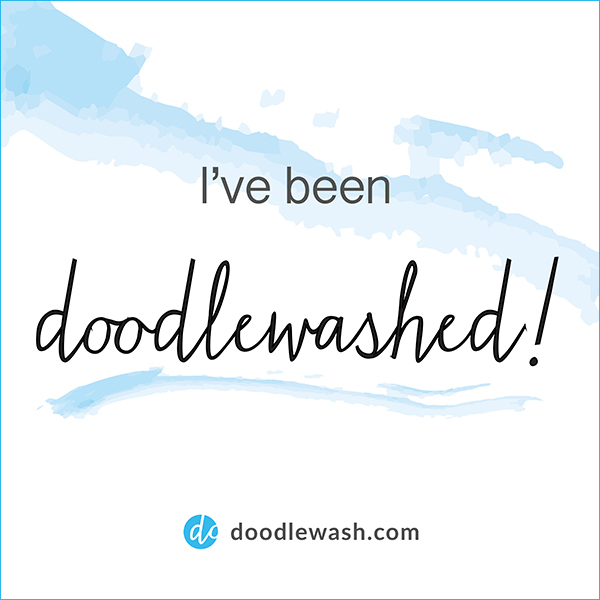 Month #1 of my 365-daily sketching goal achieved! A quiet moment at home – I was dealing with some dental stitches that required frequent rinsing with table salt. 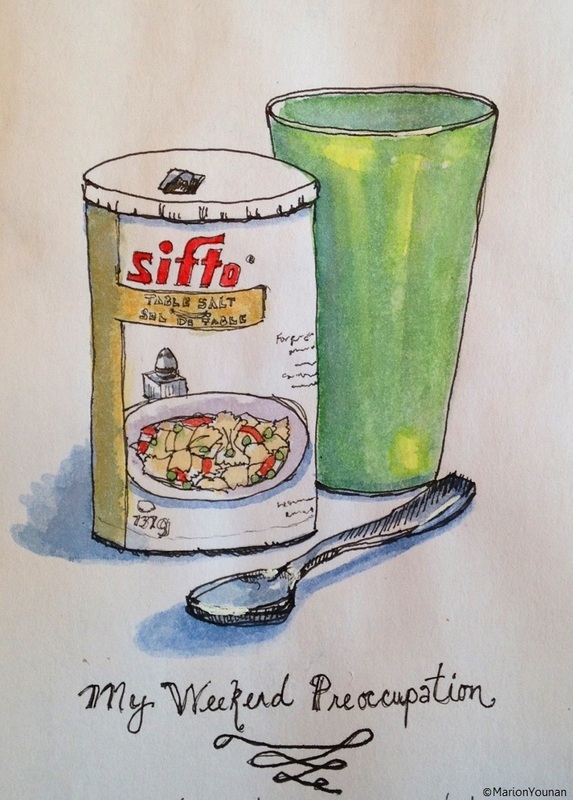 When I wasn’t rinsing, in the quiet moment, I drew the salt and dreaded plastic cup! 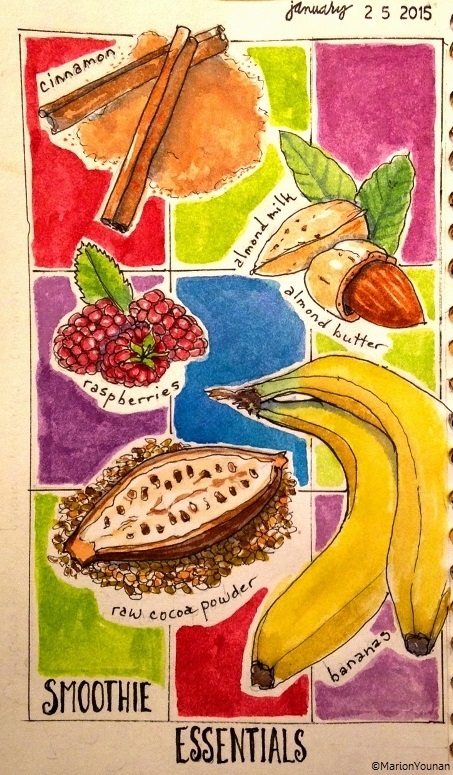 A smoothie recipe – Serendipity! Because of my stitches, I was on a liquid diet of smoothies most of the week! 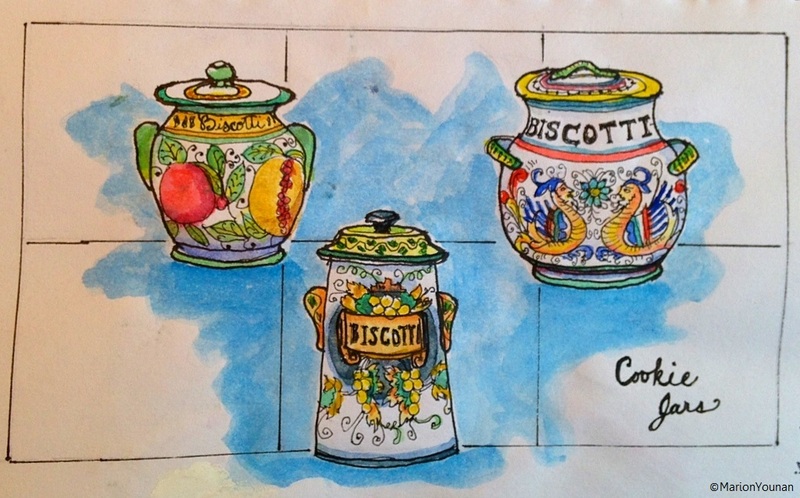 A cookie jar – Love Italian ceramic biscotti jars! 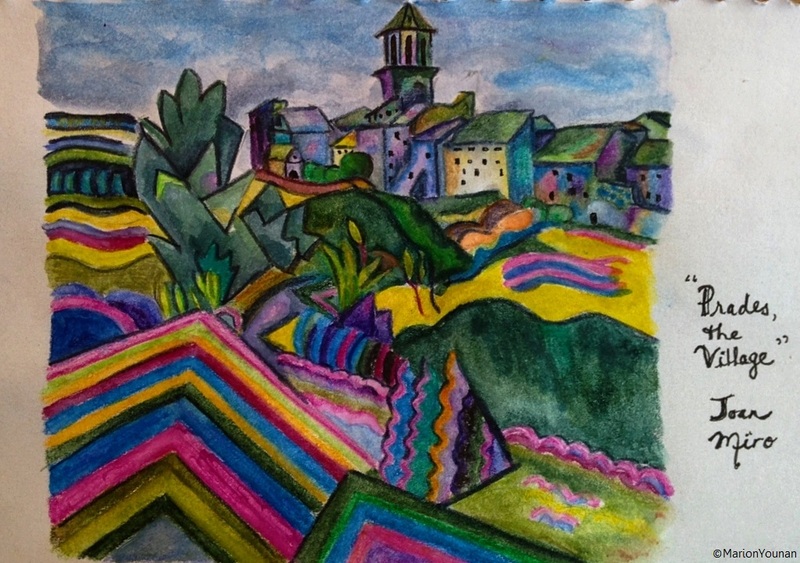 A favourite piece of art by a famous painter – One of my favourite paintings is “Prades, the Village” by Joan Miro (1917). I saw it in an exhibition last year and had to buy the print (which is now in my living room). I used watercolour pencils (Derwent and Faber Castell) for this one. It’s not half-bad – some lines are wonky, but it captures the spirit of the original… I think. 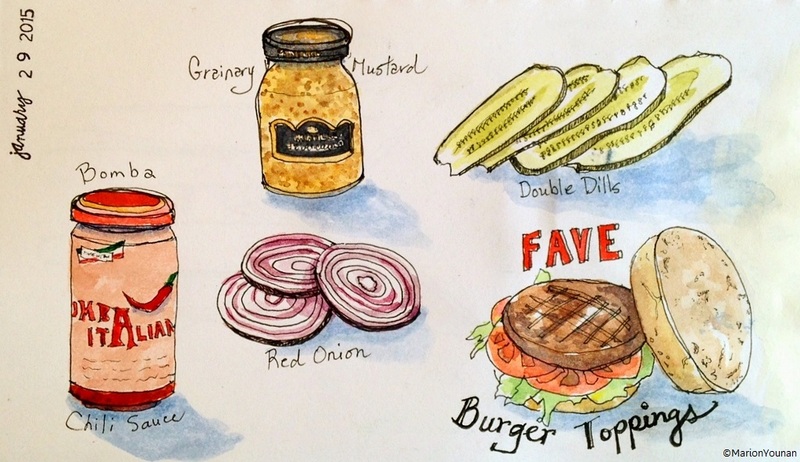 Favourite hamburger toppings – From high-brow art one day to drawing pickles the next! Thank God because that Miro wore me out, and it was nice just to let loose with the pen again. Made lots of mistakes, but the release was worth it! 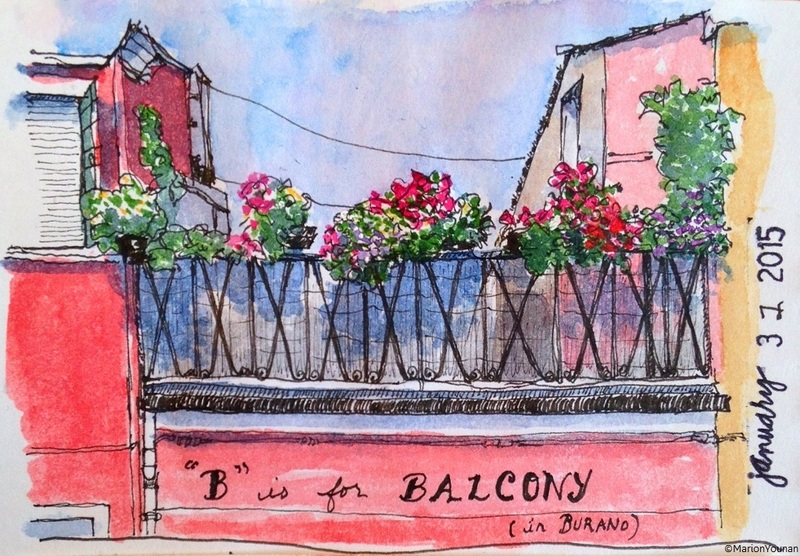 Something that begins with “B” – I was going to draw a full street scene of Burano Italy, but as I tackled some big subjects this past week, I settled on a quick sketch of one of my favourite “B’s” – a balcony. Bring on February – I’m ready! 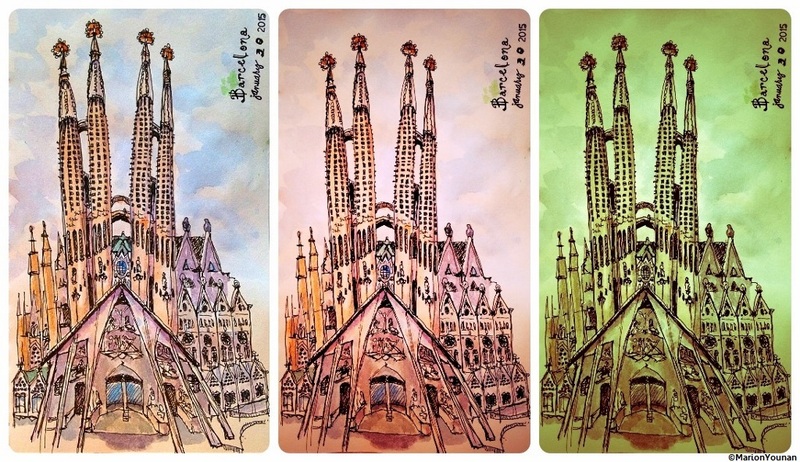 I love your sketches AND your commitment! Thanks for your support, Arja! Congrats to you, too, for keeping up your daily drawing challenge! 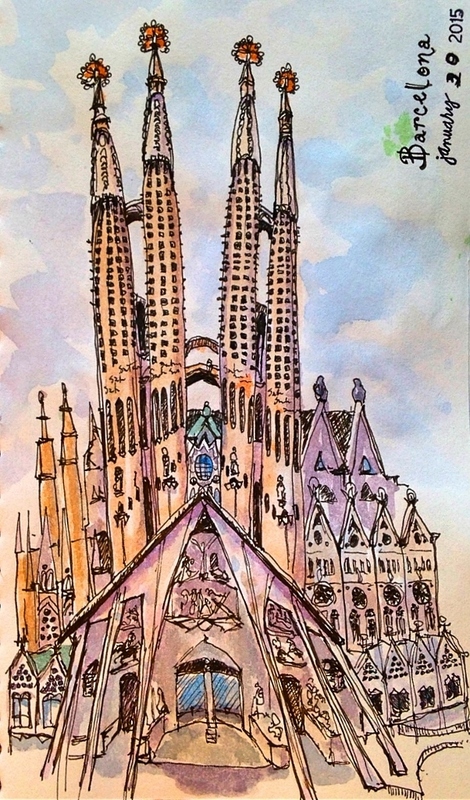 Lovely work – I especially admire your animal drawings.